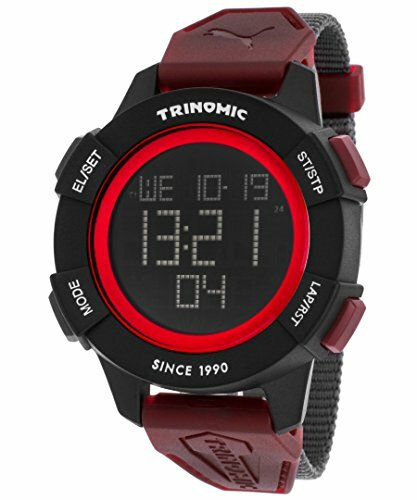 Inspired by the Trinomic sneaker line, this Trinomic watch from PUMA is perfect for the sportsman with casual style. The grey nylon and red plastic strap, black plastic case, and multi-function digital dial will be sure to meet any man's needs, on and off the track. Manufacturer: Marlox Group USA Inc. Publisher: Marlox Group USA Inc. Studio: Marlox Group USA Inc.